If you're worried about certain pictures of yourself on Facebook, now's the time to delete them. Security firm Sophos issued a warning on Tuesday saying the social networking site had enabled facial recognition technology on accounts without informing users of the change. 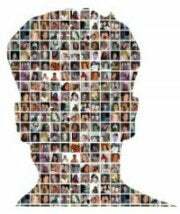 Facebook launched a facial recognition system last December, but only made it available to users within the United States. There's probably good reason for this: privacy laws outside of this country are a lot stricter, and the site probably would have found itself in hot water rather quickly. The feature was not immediately available to all, but you couldn't opt-out beforehand in order to avoid being tagged in those oh-not-so-flattering pictures. Instead, you had to wait for it to be enabled in order to not participate. I guess you could say the real problem here is not necessarily the technology itself, but the implementation. 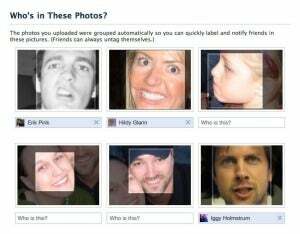 Facebook uses facial recognition technology to prompt your friends to tag you--which means photos of you are more likely to be tagged. After all, people are more likely to tag someone if Facebook pops up with a notification and suggests who that person is. So much for keeping those private photos, well, private. "The onus should not be on Facebook users having to 'opt-out' of the facial recognition feature, but instead on users having to 'opt-in,'" Cluley argues. "It feels like Facebook is eroding the online privacy of its users by stealth." I also agree. While it is a "convenient" feature, it should be our choice whether or not we participate in potential changes that could affect our privacy. Some people just don't like to be tagged in every single picture of themselves--myself included. Bottom line? Facebook shouldn't be making this choice for us. I guess we can look at one positive, though. Google, the world's largest search engine seems to have no interest in facial recognition technology--at least, for now.